WEEE Return GmbH offers a full package of services that provides a range of recycling and waste management solutions to ensure all regulations set out in the ElektroG2 law (German waste electrical & electronic equipment law) and the European WEEE Directive are met. This joint venture unites the different areas of expertise of Elektro-Geräte Recycling GmbH (EGR) and REMONDIS Electrorecycling GmbH, which complement each other perfectly. Which is why WEEE Return is able to deliver such a strong and comprehensive portfolio of services – from collecting, transporting and recycling old appliances to dealing with a whole range of administrative tasks. The greater choice of take-back options makes it really easy for customers to return their unwanted equipment – just as the new law intends it to be – and also helps protect the environment and preserve natural resources. At the same time, businesses distributing and manufacturing electrical appliances that opt to join the WEEE Return scheme are immune to competition-related warnings and fines, which may be imposed if regulations are not complied with. Moreover, WEEE Return members are part of a strong international network which means we deal with all country-specific registration and notification obligations for domestic retailers or manufacturers that sell to customers living in other EU countries. And last but by no means least, this partnership with WEEE Return provides you with an attractive opportunity to add value to your business as you can offer your customers innovative service concepts. And it’s a great advertising opportunity, as well. 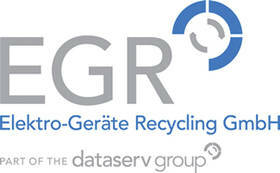 is one of the world’s largest privately owned recycling, service and water companies. Via its branches and associated companies, this family-run business operates in 34 countries across four continents including 24 European countries, China, India, Taiwan, the United Arab Emirates, Egypt and Australia. REMONDIS has a workforce of over 31,000 employees and an annual turnover of 6.4 billion euros (2014). Founded in 1934, REMONDIS provides services to around 30 million people. It focuses on implementing novel and forward-looking ideas to help conserve our raw material and water supplies for future generations. offers efficient waste management solutions. Established in 1993, it is both well-established and well-respected within the industrial, retail and municipal sectors. The company collaborates with international manufacturers and processed more than 20,000 tonnes of e-waste in 2015. Thanks to its years of experience, EGR has a portfolio containing a wide variety of services for used and discarded electrical appliances. Its key strengths include recovering specific types of components and recyclable material, ensuring pollutants and residual substances are disposed of using environmentally sound processes and professionally dismantling WEEE. Other important aspects of its work comprise developing and operating comprehensive take-back schemes with a highly specialised IT infrastructure as well as offering additional services relating to data protection and compliance. UPS (United Parcel Service of America, Inc.) takes over a big proportion of WEEE Return logistics. All UPS transports are verifiably registered and exempt from the labelling requirement (having the A-label). Own delivery trucks are used for the transportation of electronic waste. With the support of UPS we can create flexible return-solutions tailored to your needs. Our mutual goal is to protect the environment and conserve natural resources as well as to genuinely add value to our members’ businesses. offering useful and cost-effective collection and take-back schemes. delivering efficient, low-cost waste management solutions. We are constantly working on developing new and improved services with our customers and partners. So that there is even more harmony between the requirements of the market and the requirements of the law.